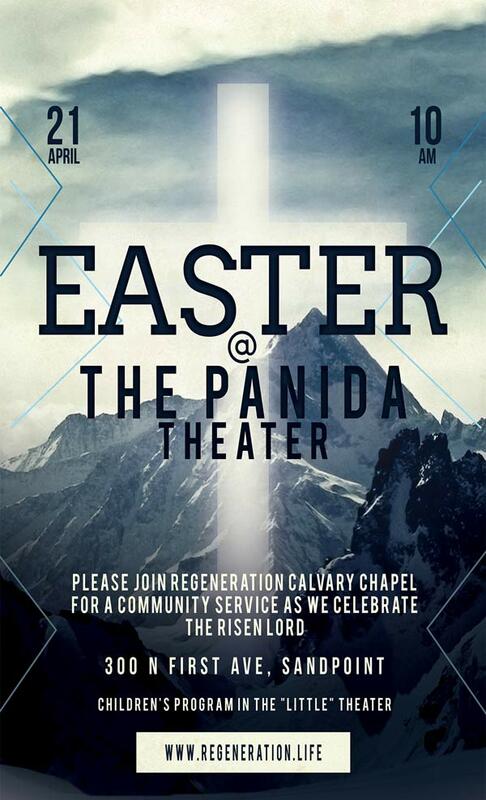 Regeneration Calvary Chapel hosts Easter Sunday Service at the Panida Theater. They welcome all, please print off your "I'm Attending" ticket here, go to Regeneration Calvary Chapel to pick up a hard ticket, or visit their website. There will be a children's program hosted in the Little Theater as well.